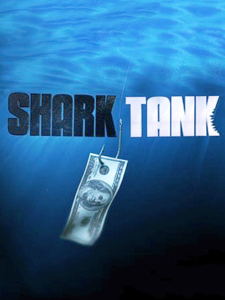 David Patrick and Zack Fleishman, the founders and creators of the Shark Wheel, have come to the Shark Tank to seek an investment of $100,000 in exchange for 5% equity in their company. The wheel has been around for over 5,000 years, but if you think about it, the current wheel has many limitations. For example, certain wheels are fast but cannot grip well, and while other wheels can grip well, those wheels are heavy. Why isn’t there a wheel that can do it all? After 5,000 years, it’s time for an upgrade. Nobody in that entire time has created an upgraded wheel, until Zack and David have come around. David has come up with a mathematically-balanced design that is based on a cube, and upon testing, they found that not only did the Shark Wheel roll, it rolled better. The wheel not only has a better grip on the ground but rolls faster and longer, and will roll over virtually any terrain. David and Patrick are not nearly naive enough to show up with just an idea, however – they have brought with them a demonstration of skateboards and scooters. The two of them started off to prove that the Shark Wheel was one of the best by going into one of the most competitive industry, skating wheels. So far, Shark Wheel has been getting rave reviews. Most people have been claiming what David said; the Shark Wheels are faster and have better grip over any type of ground. There is no limit to what Shark Wheel can do, but skate wheels are just one of the industries that the Shark Wheel team is in. To illustrate David’s point, a skateboarder rolls out on his skateboard equipped with Shark Wheels. A mom then pushes out a stroller and a wagon to demonstrate the many uses of Shark Wheels. Lori stands up and wants to test the wagon, mentioning that she wants to test the wheel. Kevin also stands usp and tests the baby stroller, and every Shark tests out some form of Shark Wheels. However, Lori concludes that the wagon is very light and interesting to move. Guest Shark Nick Woodman, founder of the GoPro, is present on this episode and steps up towards the skateboard, but admits that he just had his ACL replaced and doesn’t want to even look at the skateboard. Lori mentions that she doesn’t want to be a killjoy, but as she pushes the stroller, the stroller is veering to the left. David explains that the stroller is a prototype so far, as they have not gotten the balancing of the wheels correct yet. So far, the only wheels that Shark Wheel has in production are the skateboarding wheels, which are what they had hoped the Sharks would focus on testing. However, David says that they actually have a variety of deals coming into place for their other products that he is dying to talk about. So far, the Shark Wheels have been selling worldwide through the internet. Kevin then admits he is trying to find out if the world needs this type of solution; the big premise of the presentation was that the 5,000 year old wheel is on longer effective. Although there is nothing wrong with the regular wheel, there are millions of types of wheels; the geometry of our modern tire gives us a skinny tire when on flat, dry pavement, but a fatter tire when it begins to slip. The Shark Wheels also last longer and are faster. However, the question is to Kevin, who truly cares? David then explains that there is always a common theme in the skateboard industry; if you hit a rock, you’re flying off your skateboard with no questions asked. But with the Shark Wheel, the wheel will go right over the rocks without an issue. Daymond then asks about David’s background, who says he has no degrees and is not an engineer and there is no logical path for how he came to design the Shark Wheel. But the main focus is that an idea hit him to come out with the creation of the Shark Wheel. 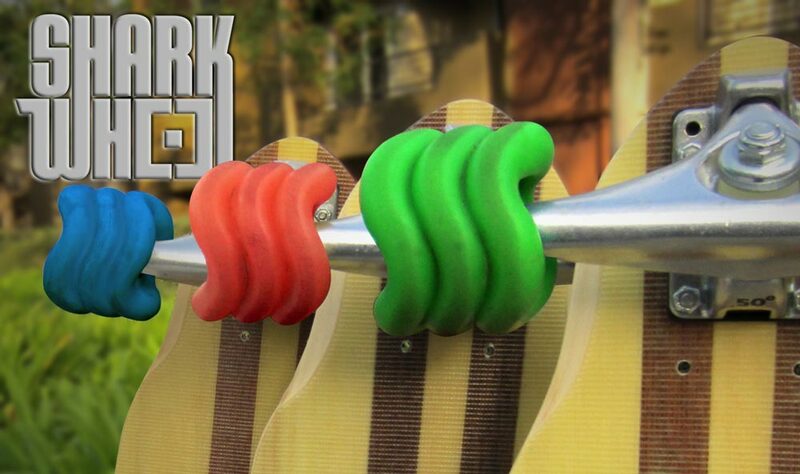 So far, the lone sales have been attributed to the skateboard division of the Shark Wheel. 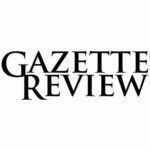 So far, they have sold 4,000 Shark Wheel units to generate a revenue of $183,000 in only four months. Each Shark Wheel costs $12 to make and is sold for $69. David says that the real use of the Shark Wheel is in the industrial uses – strollers, for example. Bugaboo Strollers approached Shark Wheel about a deal, and now they are actually focusing on that deal after their current deal with Razer Scooters finishes up. Kevin admits he is lost on the deal, and is not sure if it is genius or pure stupidity. He won’t let the deal reflect his concern, and will make a royalty deal. Kevin makes the offer of an investment of $100,000 in exchange for 10% revenue until he recovers $500,000, where the royalty disappears. But to keep Kevin engaged, he will receive 2.5% equity in the company today. Lori then speaks up, saying that she stood up and wobbled the carts and even watching the wheels was dizzying for her. Lori is out of the deal. Daymond agrees with Kevin, and is not sure if the two of them are crazy or geniuses; Daymond makes the offer of $100,000 in exchange for 20% equity complete licensing control, but this is contingent on them showing Daymond the true papers that the companies are offering for their licensing deals. Kevin says that the three of them will make a lot money together, but Daymond says he will be the one who goes to work. Guest Shark Nick Woodman then also makes an offer of $100,000 in exchange for 15% of the company, but this is contingent on Nick requiring several of his friends to test the Shark Wheel skateboards in a downhill skateboarding scenario and requiring that they also sign off on the legitimacy of the wheels. David says that they already have investors in the company and have raised $602,000 to date. However, three of those investors came into the company at a $10 million evaluation. Daymond then voices his concern, saying that the two of them waited until the last minute to bring the value of the company “through the roof” and also accuses the two of them of surrounding themselves with so many people that a Shark would have no possible way to recover their money in a timely fashion. Daymond rescinds his offer, and exits the deal shortly after. Lori points this out and begs the two behind Shark Wheel to take notice of their actions. Kevin points out that, as often, the waters in the Shark Tank can get choppy. Kevin then reaches out to Nick to combine might, but says that the two of them will need to combine for a 5% equity deal, and Kevin will raise the equity up to $150,000. Kevin and Nick combine for $150,000 in exchange for 10% royalty until $500,000 is returned, all in exchange for 5% equity. Mark then mentions he wants to enter the deal to create a three-way deal. Kevin proposes the terms; $225,000 in exchange for 7.5% of the company, split three ways. The 10% royalty stays in place until all the Sharks recover their money, which is also split three ways. Mark, Kevin and guest Shark Nick Woodman would combine their might to partner with the two men behind Shark Wheel. However, the two of them do not hesitate at all, and end up accepting the deal immediately with all three Sharks and finding a huge investment in their company, Shark Wheel. Shark Wheel has found wild success, but so far has not expanded beyond its initial skateboarding division. Shark Wheel was a case study of Federal Express’s Small Business division, where a full detailed report including an interview about their Shark Tank appearance and beyond can be found. 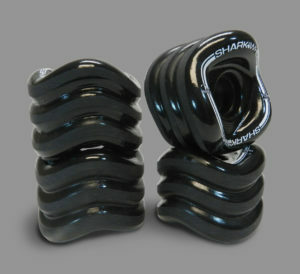 Since the appearance on Shark Tank, Shark Wheels has sold 15,000 units worldwide and has not received one single return in their entire history, due to either faulty manufacturing or claims of the product not working. The company is now looking to further divide its portfolio and create products for markets including wheelchairs, scooters and strollers. 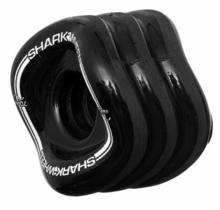 However, the Shark Wheel skateboard wheels will permanently stay under the Shark Wheels name, which is a great idea since it will constantly provide the two men behind Shark Wheels with enough income to continue to grow their company. It looks like these two men truly did reinvent the wheel, and were not just exaggerating to pitch their product to the Sharks of Shark Tank.